Port Dickson or PD to locals, is a coastal town, a district and an upcoming parliamentary constituency in Negeri Sembilan, Malaysia. It takes just over an hour by car to travel from Kuala Lumpur to Port Dickson along the North-South Expressway. Port Dickson evolved into a busy trading centre. Railways were constructed to facilitate the growth and development of Port Dickson. 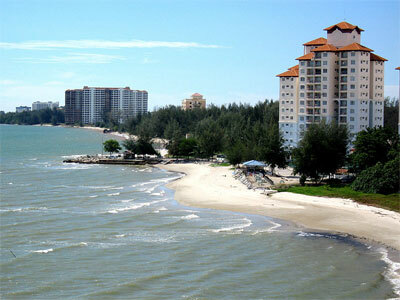 Although Port Dickson experienced rapid development, the beautiful beaches are fairly well preserved. Now, Port Dickson has become not only a beautiful tourist destination, but a large municipality with about 524,076 residents. The 18 km extent of beach from Tanjung Gemuk to Tanjung Tuan is a popular holiday destination for local visitors, especially those who come from Kuala Lumpur. Many Singaporeans have invested in holiday homes in and around Port Dickson. Over the years, many hotels and resorts were opened to capitalize on the tourist draw. In the 1990s, Port Dickson boomed with new hotels and resorts being planned and constructed. Due to the Asian financial crisis of 1997 however, many of these projects stalled, leaving many unfinished buildings scattered along the Port Dickson coastline. While some of these half constructed resorts are still abandoned, with the improving economy of the 2000s many of the projects were eventually revived and completed.